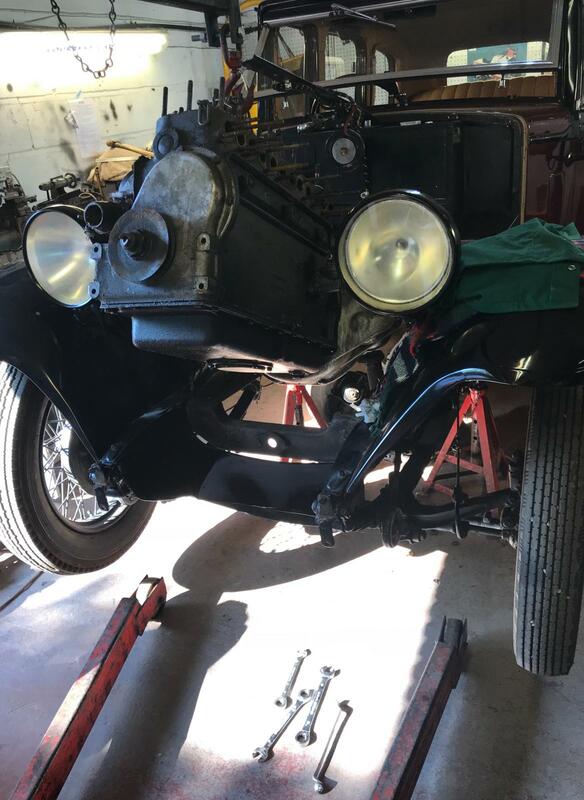 Re-Commissioning Project; 1931 Austin 12/6 - Wish me Luck! A friend in need is a pain in the arse, especially when they persuade you to get their car going that they bought blind at an auction. Not that much persuasion was needed, the thing is quite charming really. However, the engine wouldn’t turn over by hand and the starter had been disconnected sometime before the sale. Soaking the bores in diesel didn’t budge things and there was evidence of water entry on cylinders 2, 3 & 4. 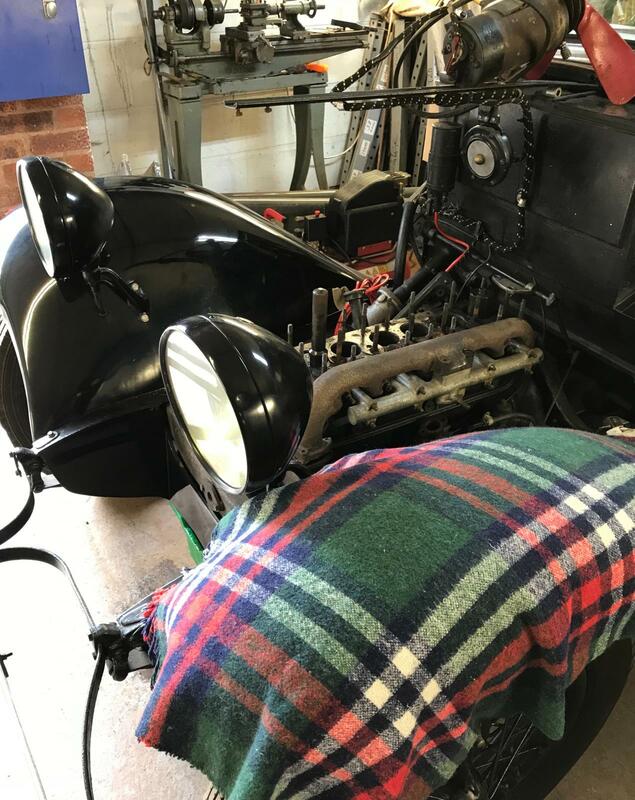 Having some time available yesterday and today the head was stripped off the engine, revealing water damage to the bores of those cylinders and the engine still failing to budge. Having previously used Coca-Cola to release seized injectors a bottle was purchased and poured onto the pistons, then left to soak overnight. Hey presto the engine turned over after some jostling, but locked up after half a turn. It was also noted that the valves were not operating when the engine was turning and that a couple of valves were stuck wide open. Damn, the unit has to come out to be stripped, secretly I’m looking forward to getting into this job. I’m not looking forward to procuring parts made of unobtanium though! 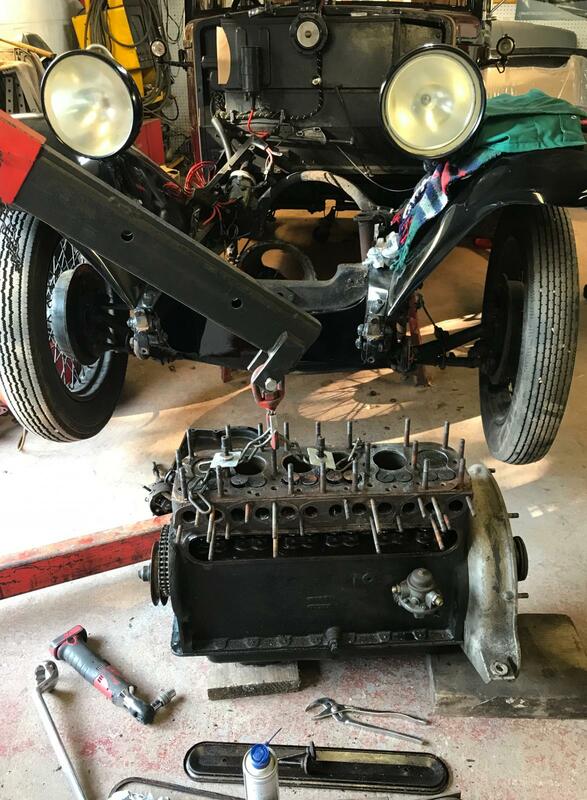 Anyone that has contacts or recommendations for old Austin parts please let me know. What a fantastic old thing, bet it's all proper engineering to work on too. Designed for adult hands to fit etc. It’s simplicity personified, absolutely lovely to work on. That looks great. Is that your workshop, or your friend's, it looks like a well equipped set up. Vulgalour will be on this like a Tramp on chips no doubt..
Top stuff and looking forward to an entertaining thread. I’m extremely lucky to have the working facilities of your dreams, as well as the AS Workshop Project that you may have seen. Does anyone have any experience of Alderton Austin Services in Tewksbury, or know of anyone that has used them at all? That's a lovely old thing. Sherpa diesel transplant? Great shout for Austin 10 Drivers Club, many components available on their website. Available Austins is no more. Strip it first and see the damage. I'd wager the valves can be cleaned up and re-used, and pistons too provided they're not melted or badly scuffed. You might get away with new rings, honing the bores and a crank polish/re-grind and bearings. Any idea as to how it seized? Oh hi interesting old car. I would guess water got in somehow, carefully stripping and cleaning might enable everything to be reused if not worn beyond tolerances. I gather sometimes it's from them not being run/stored with antifreeze which then cracks the block too. Amazingly, even when a block has cracked folks can still repair them successfully. 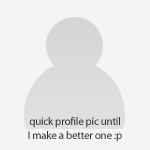 Try this forum. Not very busy but very helpful. Depending on the location and size of cracks it may be possible to simply have them vacuum infused with sealant, if more extensive then having the cracks stitched may be necessary to stop them growing. 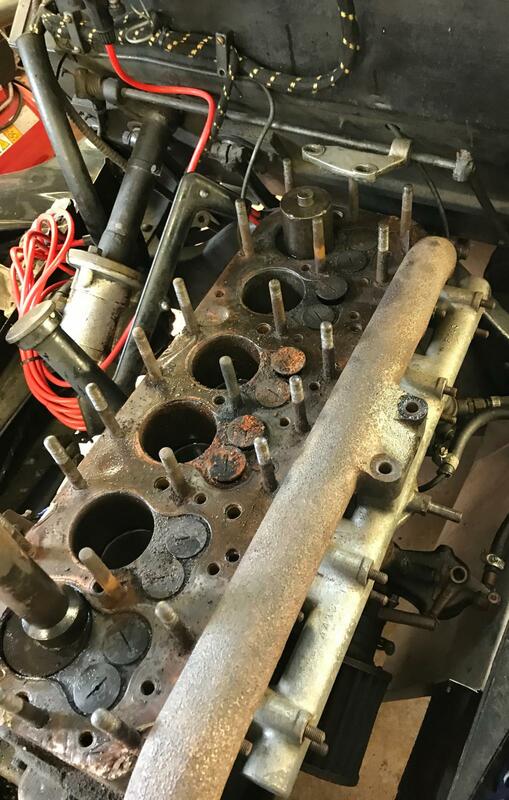 The cylinder head nuts were not over tight and the head gasket has definitely allowed water past the galleries into the bores. Had to visit a client in Cheltenham today so went to meet Mark at Alderton Austin Services, really helpful and it seems that new pistons and a reborn can be had for £500 to £600. 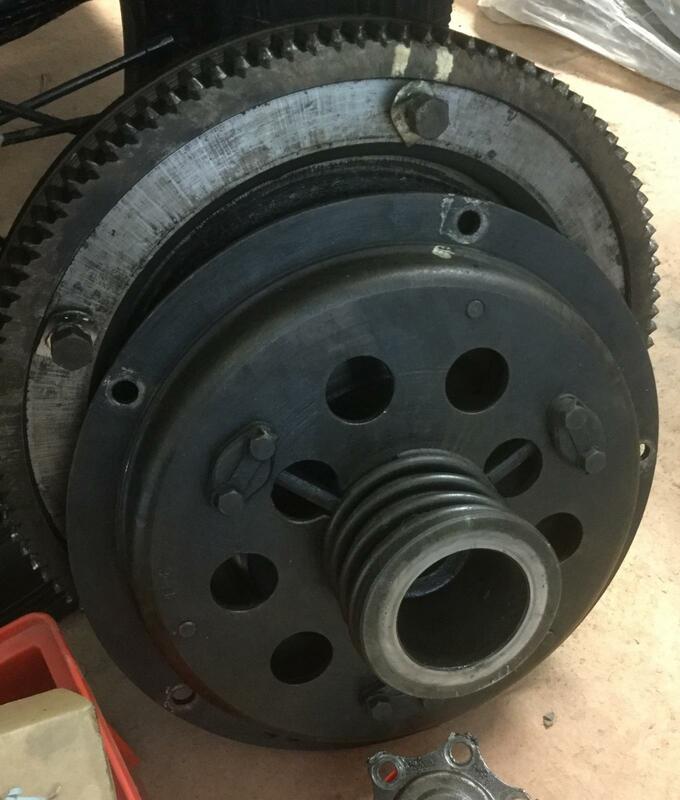 Looks like a rebuild could be done for less than a grand, unless the white metal needs replacing and scraping on the crank bearings, not counting labour of course. Head gasket breached, possibly after overheating. It’s clearly stood a while though, with water in the cylinders. How flat is the head and the top of the block? Is there a tappet chest on the side of the engine that you can remove the collets and springs from the valves so you can the work on gently removing them and see if you can get the bottom end to revolve fully? Head will go for pressure test / skim if necessary. The engine turns now but locks up after half a turn and the valves fail to operate when the engine rotates, with some valves being stuck fully open. Engine will be coming out for a full strip. You might still get away with honing the bores if they're not too corroded. They are very agricultural engines so have more tolerance. Engine is out now and further investigation shows that the timing chain is actually good. The water entry into the cylinders had seized the valves in their guides, all turns nicely now it’s been freed off. Cylinder bores won’t hone out though, so the block will be going for rebore. Could you have liners fitted to the water damaged bores and reuse the pistons? I can't imagine o/s pistons are easy to come by. Oversized pistons and engine rebuild parts are, thankfully, available. It's the white metal bearings that would scare me. I did this once - never again. No evil dual mass issues here! The friction material is riveted to the cover plate and flywheel, old school thinking but effective. Just an arse to change.